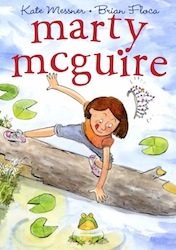 WHAT: We will read Marty McGuire aloud as a read aloud and connect with other classrooms in the U.S. and possibly elsewhere in the world over a six week period. The format we choose to make our connections is TBD. PURPOSE: To share our thinking and make global connections.